the UK government producing a ‘nodeal’ partnership pack as well as a series of technical notices, there are still many key unanswered questions. Ever-relevant however is the need to support British businesses with their preparations. With much higher-level decisions being the focus for most discussions, the business community could be forgiven for feeling like an afterthought. Yet, can our government afford to treat it like one? And, just because there are no clear answers, can businesses afford to wait for it all to play out? There were 5.7m private sector businesses at the start of 2017, with small businesses accounting for a staggering 99.3% of all these, and 99.9% of those being small or medium-sized (SMEs). These businesses really are at the heart of our nation and form the backbone of our economy and it’s them that we must rally round. businesses, with one of the most diverse and enriched workforces worldwide – any impact on this could be detrimental and this is just one area of concern with the planned departure. As well as ensuring that international employees continue to be welcomed to our shores there are a number of other key areas that could be impacted. Businesses need to take a step back and scrutinise their processes. They need to be evaluating all areas of their strategy, stress-testing their financial solvency and preparing for a range of potential scenarios. For those that have already begun, this level of attention is bound to result in ‘tighter-run ships’ and mean that any issues discovered will be rectified. But what about the nearly 50% who have not yet begun. How to prepare when you do not know what to prepare for? More pressing perhaps, how to prepare when there is no help or guidance for such a situation? Speaking to business owners, some have made contingency plans and begun preparations, but many have not. They are carrying on, business as usual, claiming they have too little information on which to base any preparations. Although understandable the time for waiting has now passed. Although there is no more clarity, businesses must take action for themselves. Due to the lack of clarity provided by the Government it could be tempting to ‘sit tight’ and only take action once clear and decisive path of action has been confirmed but such a wait and lack of preparation could risk exposing businesses to bigger threats. The role of the media The British media have come under fire for their coverage of Brexit. Sensationalism and a doom-and-gloom attitude that has gripped the nation and its small businesses in fear for much of 2018 is not helpful for business owners attempting to safeguard their livelihoods. There has also been a distinct lack of practical, tangible and actionable tips and guidance for business owners to prepare with. This lack of clarity and fearmongering has been compounded by incessant talk of the worst-case scenarios and, paralysed by this fear, many businesses have freely admitted that they have not begun preparing for exiting the European Union at all. In addition, according to recent research by Sage and YouGov, 40% aren’t sure when they will begin to prepare and 34% do not know how long preparation will take. On top of this 45% admitted that Brexit is impacting their confidence and that will always have an obvious knock-on effect on business performance. So what can companies reasonably do when clarity is in such short supply? The Ultimate Business Guide to Brexit has been planned with business owners and senior decision makers in mind. In the face of adversity, sensationalism and a lack of clarity our experts can deliver strategies and tips to prepare a business for any turbulence experienced due to Brexit. 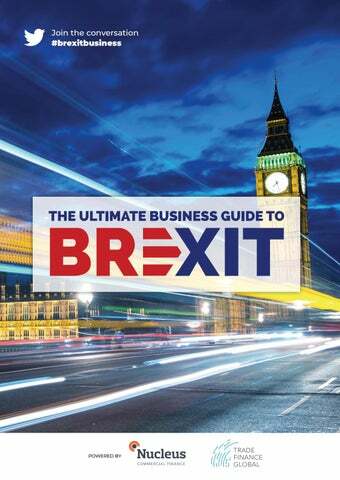 With a wealth of experience in areas such as international trade; cash flow, finance and business strategy; employment law and global mobility; currency and foreign exchange, as well as small business trade organisations, this digital guide is a true bible for any business weathering the Brexit storm. BREXIT IN CONTEXT Chris speaking at the Brexit Business Guide event in October 2018. We heard from Chris Southworth, Secretary General of the ICC United Kingdom, at the Brexit Business Guide event. The International Chamber of Commerce (ICC) is the largest world business organisation representing 45 million companies and 1 billion employees in over 100 countries. The ICC represents business at inter-governmental level and is the only business organisation with UN Observer Status. Working with organisations such as the Confederation of British Industry (CBI), the British Chambers of Commerce (BCC) and the Federation of Small Businesses (FSB), the ICC United Kingdom supports British businesses so their voices are heard by the United Nations (UN), G20 and World Trade Organisation (WTO). Chris shared his perspective on how Brexit is affecting the rest of the world. needed to get back on a level with the EU, not to mention the negotiations required with the USA and China – all of which could take over a decade to complete. In the meantime, the UK will experience disruption and uncertainty, which will prove detrimental to both trade and investment. reform. Here, there is opportunity for progress. Focus should be directed at such initiatives, and support given to the institutions that are working to implement the respective policies. What the UK does have in common with the rest of the world as a result of Brexit, is a slowdown in trade, rising protectionism, and geopolitical uncertainty. More disruption and uncertainty will only serve to further erode confidence, and the UK will win few friends in the process. It is the worst time to go out alone, without the leverage and backing of the other EU members. In truth, it is impossible to say. In theory, all options are still on the table. What we do know is that a hard Brexit will be universally damaging, adversely affecting the UK, the EU, and the UK’s other trading partners. A hard Brexit would be most keenly felt in the poorest and marginalised communities across the UK, affecting job security and the survival of many of the UK’s small enterprises. If the UK comes out of the Single Market and Customs Union, it will be businesses that bear the burden of responsibility for tax, customs declarations, duties, tariffs and quotas. All the additional paperwork will need to be completed on goods before they arrive at export transit points across the country. Sectors where tariffs are higher – such as agriculture, food, drink and automotive – will likely be worse affected. And the higher associated costs must either be absorbed or deflected to the end-customer, which will either damage competitivity or increase living costs. progress on digital trade, investment, trade reform and sustainability – all of which UK industry is well positioned to capitalise on. How the ICC can help As the largest business organisation in the world, championing inclusive, open trade and engaged with all the major institutions, the ICC can help support the interests of UK companies, particularly in conjunction with UK business organisations. Overseas delegations are a great way to learn how to navigate the new landscape post-Brexit, providing open forums in which companies can learn from each other and benefit from the ICC’s expertise. We will have two large postBrexit events in London on the 4th and 20th June to help companies engage with international business leaders, and to understand how to scale up international engagement and operate in the WTO. We will also lead 3 UK delegations to UN Ecommerce Week in April for those interested in digital trade, to the WTO Public Forum in the Autumn for trade and investment, and the UN in New York to showcase private sector delivery of the UN Sustainable Development Goals. In all activities, we work with UK business organisations and government to ensure companies get as much support as possible. Currency volatility with particular reference to Brexit has only served to complicate an already challenging landscape for companies who are involved in foreign exchange. Brexit has highlighted the importance of the finance function within companies. Rather than being considered as just a cost centre for the organisation, finance teams should be involved in helping to shape strategic direction. Whilst Brexit has actually helped focus the attention on the finance function, policies in that area, such as treasury policies and the implementation of cash flow forecasts are vital and must be documented. THE BOARD OF DIRECTORS MUST TAKE OWNERSHIP A fundamental requirement for a companyâ&#x20AC;&#x2122;s continued success is the ownership by its board of directors. Taking cash flow forecasts as an example, a business must ensure this is fully owned by its board and fed through to people who are transacting with the business. The focus for the board is to always fully measure the risks that it has and then manage them. Without understanding all of the risks, it becomes very difficult to trade in foreign markets. HEDGING MAY NOT ALWAYS BE NEEDED Whilst currency hedging can help mitigate the effects of currency volatility, it may not be appropriate for all organisations. For example, a travel company transacting between 10 - 15 million pounds per week on Spot Foreign Exchange, recently made the decision not to hedge. This strategy was taken by its board based on the results of proper stress testing. If your stress test shows that you can afford to lose a certain amount of money and your margins on your business are appropriate, then hedging may not be needed. FORECASTING RATHER THAN PREDICTING IS CRUCIAL World affairs will always play a fundamental role in influencing currency positions and Brexit is just one small component of that, often dynamic, storyline. In this respect, the importance of forecasting rather than predicting is crucial. Companies need to make informed decisions about the direction of exchange rates to inform their business strategy and must ensure they remain reactive. PRACTICAL EXAMPLE Taking a practical illustration of the effects of the Brexit decision, if you think of a UK importer who needed to sell a million pounds of dollars two weeks before the Brexit referendum, with their focus on cash flow that was two weeks forward of that date. Two weeks before the referendum the price was $1.45, two weeks after it was $1.30, so an immediate cost of $150,000. UK exporters would have obviously benefited from the drop in value following the referendum. Ensure your board of directors take full ownership of the businessâ&#x20AC;&#x2122;s financial health. They should plan and monitor financial pace and progress and assess all potential risks Treasury policies and the implementation of cash flow forecasts are vital and must be documented. Place your Finance function at the centre of your strategic planning. The decision was taken by the then Prime Minister David Cameron to hold a public referendum on whether or not the UK should remain part of the EU. A 51.9% majority over Brexit is reached at the EU referendum. This was followed by Cameron, who was supportive of remaining in the EU, to resign as prime minister. Theresa May, now leader of the Conservative Party and becomes Prime Minister and forms a new government. Article 50 is triggered, which starts the 2 year clock and process to leave the EU. After triggering a surprise general election, Theresa May loses her majority and forms a coalition with Northern Ireland’s Democratic Unionist Party (DUP), allowing her to form a majority and remain in power. Negotiations between the EU and the UK formally start. Negotiations between the EU and the UK continue, but make successful strides in terms of Brexit transition phase dates including EU citizen status and fishing policies. David Davis, Brexit secretary and Boris Johnson, foreign secretary departed government. The Customs union vote was debated by MPs at the House of Commons, looking at an amendment to the UK trade bill and the Labour party calling for the UK to stay in the customs union. The deadline for a report on EU migration to the UK is required to the government, drawn up by the UK Migration Advisory Council. The October summit takes place. This is the likely final decision on the UK divorce from the EU. The final meeting of the European Council takes place here – where final sign off for UK – EU to have a signed Article 50 divorce deal, just three months before the UK’s final departure date. The Prime Minister wins a vote of confidence in the Government. Theresa May presents the government’s ‘Plan B’ Brexit deal. MPs debate the Prime Minister’s ‘Plan B’ deal, which is then approved following two amendments. Brexit Day – Either a seamless transition or a cliff edged Brexit – expect many political declarations and turbulent events on this date! SIMON WILLMETT Director, Nucleus Commercial Finance In his role as Financial Director at Nucleus, as well as the day-to-day finances of the business, Simon is responsible for devising and executing the business strategy, financial planning and modelling. He specialises in providing insights in to building robust business strategies, stress-testing your business finances and scenario planning. Simon has nearly 20 years experience in accounting, with 10 years at Deloitte before he moved over to work in SME financial management. BUSINESS COSTS AND BREXIT What business costs could increase as a result of Brexit? Have you started to make plans for your business in preparation for Brexit? One thing that is at least true of Brexit is that we know about it in advance. This gives businesses the benefit of being able to prepare for it to some extent. Our results show that only around half of businesses have begun preparation but something that all businesses should be doing is forecasting and predicting the potential cost increases that Brexit may inflict on their business. By planning in advance, you can spot cash flow gaps before they happen and employ the correct use of external finance or source expertise, well in advance. From an FD perspective it is about forecasting those costs as best you can. Have some contingency in place and ability to stress test it where necessary. Continually keep your forecast up-todate and refer to it. A lot of us can be guilty of preparing a wonderful budget / forecast and then forgetting it for the next 9-12 months. If there are issues, cash short falls, then it is always better to seek professional assistance early rather than later. Easier to get funding, and better quality funding, the earlier you do it. Obtain as much information as possible so that you are as informed as you can be. Speak with your ExCo, your accountants and professional advisors. Equally, share this information with your key suppliers (how will it affect them), your producers. Do not assume that they know your plans and particularly if they are based internationally, Brexit may not be a major concern for them, or even on their radar. increased administrative costs yourself? What would happen to your cash flow in situation A, B, C etc. If you can, allow for some contingency money which will offer you flexibility and breathing time if a particular outcome is not what you expected. Plan and maintain As the Brexit situation is ever-evolving, so should your forecasts and business plans be. It is easy to spend a long time putting together a detailed 12 month plan and then just file it away somewhere to gather virtual cobwebs. In fact, any plan should be a living breathing document – referred to daily and in the current climate, which is so hard to predict, allow a certain amount of flexibility too. Forecasting has never been an exact science but usually with the previous year’s seasonal trends and behaviours to you can make intelligent predictions and establish your forecast. In this uniquely unprecedented scenario it becomes more challenging. You could prepare secondary plans which are effectively ‘waiting in the wings’ in case of different scenarios or you could allow a contingency within your forecast which you can fall back on until everything settles down. cash shortfalls or potential stresses then it is always going to be better to seek professional guidance as soon as possible, rather than reactively, once it’s too late. Consulting with an accountant or other qualified professional who can advise you on all the options and guide you is worth its weight in gold. Similarly, if you feel you may need to employ use of external finance to realise growth ambitions or keep your business going, for whatever reason, you should find it sooner rather than later. The lenders will be far more likely to be supportive if you seek funding before your situation escalates. Employing smart use of external finance as part of your business strategy, is a positive thing. Looking for finance to save you at the 11th hour can smack of desperation and you will find It harder, more stressful and more expensive to get the support you need. unlikely that any business will be totally unaffected. You will need to keep your team united and working towards a common goal. Whilst fear-mongering helps nothing, if it’s justified, prepare your staff for potential turbulence and highlight that the business could be facing a period of transition. Communication beyond Other than preparation, if there was one key thing to take away from this article it would be communication. Communication becomes particularly important when entering an unknown and Brexit is certainly. Once you have a plan or have made decisions about your approach, these not only need to be communicated internally but externally too. A lack of knowledge often breeds fear or rash decisions due to misunderstandings. Do not assume suppliers and customers know your plans or how Brexit will affect you and them. In particular if they are based internationally Brexit might not be on their radar or even be a big concern for them. Good business is built on good relationships, but these may not be enough on their own. If you have long-standing business contacts that you want to preserve, be as open as you can and make sure trust is maintained. Key questions to ask: •	Can you realistically pass any increased costs and tariffs on to your customers?– if so, how much can be passed on and how much must you absorb •	Are your senior team fully prepared for any changes in strategy that may be necessitated by Brexit? •	Have you sought expert advice from an external professional? The opinion really seems to be that this is Britain’s problem to solve and that trickles much further down than Westminster. In summary, despite the continued uncertainty surrounding Brexit and the eventual impact it will have on your business, there are steps that can be taken now to safeguard your company as best you can with the information available now. Even if Brexit did not happen, the work put in now is a good test for other external stressors that your business may need to survive. 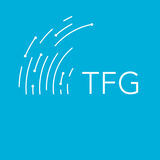 MARK ABRAMS Director, Trade Finance Global Mark heads up the trade finance offering at TFG where he focuses on bringing in alternative structured finance to international trading companies. Prior to joining TFG (tradefinanceglobal.com), Mark qualified as a lawyer with a top ranked global trade and structured commodity finance team. Mark has previously advised commodity trading firms, banks and alternative capital providers on international structured trade financings, pre-export, prepayment and limited recourse structures - notably in the oil, soft commodities and metals sectors. This has included mining finance projects, structured letter of credit facilities, receivables discounting and forfaiting agreements. NAVIGATING CROSS-BORDER TRADE CHALLENGES AROUND BREXIT Why is trade important for SMEs? In terms of Brexit, what are you most concerned about for your business? For UK based small to medium sized businesses, Brexit is top of the list in terms of the key risks and challenges. The challenging geopolitical environment is especially causing concern for businesses that trade internationally. SMEs need the right practical, promotional and financial support to grow sustainably by exporting. International trade is one of the leading engines of global economic growth. However, it is dependent on the movement of both goods and capital. The burden of capital lending restrictions and Basel III is now limiting some lenders ability to provide finance to SMEs. That being said, there are a number of risk mitigation strategies which businesses can employ, whether itâ&#x20AC;&#x2122;s diversification of suppliers, reviewing positions with external financiers or looking at warehousing costs. BREXIT AND TRADE Navigating cross-border trade challenges around Brexit In todayâ&#x20AC;&#x2122;s turbulent geopolitical climate, there are many challenges facing businesses of all sizes. With Brexit looming, we need to continuously assess the opportunities and risk mitigation strategies that UK SMEs can take over the coming months. Mark Abrams, Partner at Trade Finance Global, spoke about some of the larger challenges which trading firms face in the run up to Brexit, and what areas companies should start thinking about. Large firms, operating out of multiple jurisdictions, have access to a wide network of buyers and suppliers. This diversified supply chain means that, should we end up in a no deal Brexit scenario, these businesses may see a slight impact on their P&L, but not of the scale and breadth of issues it could cause for smaller SMEâ&#x20AC;&#x2122;s.
Firms have started stockpiling product and components, while preparing for transit delays in relation to imported products. On the supply side, firms have started stockpiling product and components, while preparing for transit delays in relation to imported products. We have seen this in the pharma space, with many UK based labs sitting on specialist stock, which is often manufactured or imported from Europe. This also ties into the threat of heightened tariffs and potential complications around customs clearance. Analysing the operating methods of a company is critical to mitigate such risks. Supply Chains are being rationalised and closely monitored. Just recently, Jaguar Land Rover announced that it was cutting staffing levels in parts of the UK to a three-day work week. When it comes to the cost of doing business, it is often not a straightforward answer. The complexity of supply chains, the number of moving parts, the changing regulatory and political landscape - all of these factors need to be evaluated. Ask yourself, where does your business warehouse product? Your financing facilities and legal documentation could change as a result of Brexit, so itâ&#x20AC;&#x2122;s important to hedge out any potential exposure, by understanding possible eventualities. Documentation is a real concern. International trade and the way in which it is communicated has always been a focus of trading bodies such as the ICC who assist with the promotion of responsible free trade and provide guidelines on the rules and standards that govern international business. The introduction of the ICC incoterms, as the agreed set of rules which global firms should adhere to, has provided much needed clarity and encouraged trade. The key point here is that businesses should be prepared for Brexit. Some 44% of the attendees at the Brexit Business Guide event have already started business planning in preparation of Brexit. What about access to finance? With more alternative financiers, and thus liquidity, in the market than ever before, there has been pressure on high street banks and a changes in the types of lending available to SMEs. Many larger banks have announced branch closures in the past 12 months. If UK access to the single market is lost, then the resulting constraints on free movement of capital and labour will have a heavy impact on import and export firms. Immigration and passporting If UK access to the single market is lost, then the resulting constraints on free movement of capital and labour will have a heavy impact on import and export firms. With a reduction in the availability of highly skilled labour and lower cost immigrants, output and productivity will be affected. The silver lining of a trade war? When focusing on the trade war between the US and China, there is an interesting potential area of benefit for the UK. President Trump has made involvement in US Mergers and Acquisitions more difficult for Chinese companies and has also reduced inward foreign investment. This Chinese are looking to increase overseas financing, and these changes could essentially leave a gap for a beneficiary.